The SC gave consent to hear a plea today seeking explanation from the Uttar Pradesh Police regarding the circumstances under which a Class 12thstudent was arrested for allegedly posting on Facebook ‘objectionable and offending’ comments against senior Samajwadi Party leader Azam Khan. The instant application questioning the arrest of Bareilly youth was filed by a law student Shreya Shingal, who was the first person to file a PIL challenging the validity of Section 66A of the Information and Technology Act in the aftermath of arrest of two girls in Palghar in Thane district in connection with social media post on account of shutdown in Mumbai following Shiv Sena leader Bal Thackeray’s death. In the instant application, Shreya told that she came to know through media about the arrest of the youth under section 66-A of the Information Technology Act and Sections 153A (promoting enmity between different groups on grounds of religion, race, etc), 504 (intentional insult with intent to provoke breach of peace) and 505 (public mischief) of the Indian Penal Code. She then went through to various media reports and news stories that the youth’s parents have clarified that he had only shared the post and didn’t upload it on the social media platform himself. On the other hand, Rampur Superintendent of Police Sadhna Goswami said that the boy had made a confession that he posted the picture which contained few lines on Azam Khan, the application nonetheless, said which also referred to reports that the boy also accepted that he didn’t actually understand the meaning of what he was posting. Earlier in the day, Rampur district Judicial Magistrate Azad Singh granted bail to the youth on furnishing two bail bonds worth Rs 20,000 each and asked him to cooperate with police during investigation. The student was sent to jail by a local court for 14 days judicial custody yesterday. When the bench comprising Justices A R Dave, J Chelameswar and Kurian Jospeh said that the youth has already been granted bail, Advocate Manali Singhal pleaded that the matter required to be heard as there was a need for explanation from the Uttar Police as to how he remained in jail for four days for the alleged offence under section 66A of the Information Technology Act which has been challenged and the judgment has been reserved by the SC on February 26. 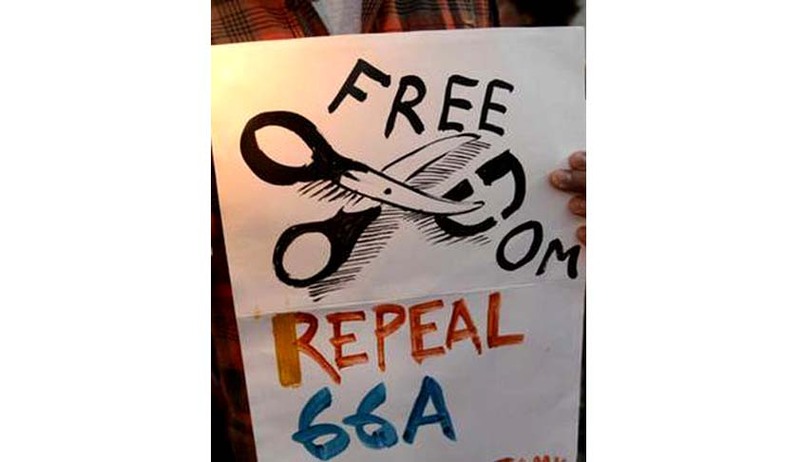 You may read other Live Law stories on S. 66A here.